I’m missing an item from my order, what can I do? We aim to ship our orders in one parcel, however it's possible that your items may have been shipped as separate parcels, please check your order confirmation and delivery note to ensure that everything is present inside. If any item is missing please contact our Customer Care Team with your order reference and the product code / quantity that is missing and we will aim to resolve your issue as quickly as we can. I am not able to place an order on your Target website? We are very sorry but I am afraid that the Target website is currently not operating outside of the UK. If you currently reside outside of the UK then this is likely the reason. If you discover a fault please notify us immediately by contacting our Customer Care Team with your order reference, faulty product code, and a description of the fault. We will aim to answer your query within 24 hours and issue you a replacement item as quickly as possible. Can I cancel or amend my order once I have placed it? We like to pick/pack our orders quickly, therefore, you will not be able to make any changes to your order after the order has been placed and payment has been submitted. I have an incorrect item, what can I do? Please contact our Customer Care Team and provide them with your order reference, the incorrect product code, quantity received and what the product should have been. We will aim to get back to you within 24 hours. Ultimately the item can be returned to us through our returns system, for more details on returns please see our returns section. Please ensure you complete the returns document, by selecting the correct option/the reason for the return. This information can be found on the reverse of the delivery note that will be included in your parcel. Please note incorrect items must be returned in its full packaging and in the original condition as it was sold. You can purchase gift cards on our website - it's done through the gift card/promo code option. Your gift card can be used by you or given as a gift. There will be a selection of different gift card values of which to choose from. Once you have selected your amount you simply enter your details and submit this to your basket. This Digital Gift Voucher can then be redeemed before checkout. Target gift vouchers will be digital and we will email this voucher to the contact details we hold on your account. How do I Use/Redeem my gift voucher? This is nice and easy, the first step is to ensure you have redeemed your gift voucher by entering the unique reference code you would have received in the redeem box at time of checkout. Once the Gift card has been activated, unfortunately it cannot be transferred, sold or cancelled. After the activation you should be able to see this as balance on your account, now you are ready to spend at checkout! If you are spending more than the value of the gift voucher then you will need to pay the additional amount with your card in the standard way, however if the value is less than the value of the gift voucher, we will hold this remaining amount as a credit on your account that you can use at a later date. Just remember to spend the full value of the gift card before the expiration period of 12 months. How do I use/ Redeem my Promo Code? This works the same way as a gift voucher, the first step is to ensure you have redeemed your Promo Code by entering this in the Gift Voucher / Promo Box at the time of checkout. Once the code has been redeemed you should see that this has been applied /deducted to your value before you check out. Gift vouchers will be valid for 12 months from the date of purchase. Gift vouchers are not subject to cancellation and cannot be refunded once purchased. If you do not spend the full amount on the gift voucher within the 12 months validity period, then unfortunately any remaining value left on the card will be void after this date. What happens if the gift voucher I bought has not been received? We issue our voucher via email, therefore the voucher will be instantly sent to your email address. We know sometimes emails can go astray in cyberspace so please always check your Junk box or Spam if you have not received. If you have still not received and have checked the above-mentioned mailboxes then please contact our customer care team and provide them with your unique web reference code, the email address registered to the account when placed, full name, and gift voucher amount. Delivery within 7 working days from the moment the order is submitted. through those links provided to receive all updates if your parcel is tracked. DPD will be your appointed courier should the item value in your basket meet our determined threshold. However the option is still there if your order is under that value criteria should you wish chose the tracked option. If you are not available to take this delivery and there is no one to sign for your parcel you will receive notification to advise that an attempt has been made to deliver. DPD will contact you via email/sms with various options to either collect your parcel from the nearest DPD pick up shop or you can select an alternative delivery date and rearrange a second delivery. If however there has been 2 failed delivery attempts we are within our right to charge for any further attempts to deliver. Alternatively this may result in the order being returned to Target HQ. If we receive the consignment back after the mentioned failed delivery attempts we reserve the right to deduct a £5 administration charge at the time we will issue your refund. Goods under a certain value will automatically be shipped with Royal mail untracked. Tracked delivery will always be with DPD should the value of the items in your basket reach a certain value threshold. There are no further options to change delivery address once this items is with Royal mail. To see post office operational hours, please click here. What is your return policy in relation to orders shipped within the UK that are incorrect or faulty? We will we accept returns back if an item is faulty, incorrect within a 30 days of receiving the item. If a product is returned because it has been shipped incorrectly or the product is faulty then we will arrange the return of this product and we will be liable for the cost of this return. Any Items being returned to us must be in its original packaging and in a suitable condition of sale. If they are not in a suitable condition and/or fall outside of the 30 day policy then we reserve the right to not refund. For more information on returns please contact our customer care team. We will be able to provide you with all the relevant information and details on how to return an item to us. Please ensure that when you return your item that you include your original delivery note and we also ask that you select a reason for the return. This returns information can be found on the reverse of the delivery document. For further information on our Delivery service and how our services operate please see our Delivery section. If you have placed the order incorrectly then the item can still be returned to us within the 30 days but the return must be at your own cost. Any Items being returned to Target must be returned in its original packaging and in a suitable condition of sale. If they are not in a suitable condition and fall outside of the 30-day policy then we do reserve the right not to issue a refund. All accepted returns will be refunded at the price you purchased your items at, this also includes sale items. For more information on returns please contact our customer care team. We will be able to provide you with all the relevant information and details on how to return an item to us. Please ensure that when you return your item that you include your original delivery note and we also ask that you select a reason for the return. This returns information can be found on the reverse of the delivery document. Please be mindful that if you are responsible for returning the goods and have used an alternative method of delivery outside of our returns guide, then you are solely responsible for them until they reach our warehouse, please ensure the items are well packed and so there is a minimal chance they could get damaged. All goods will be subject to a full inspection upon return and before a refund is given. We cannot accept any liability to damaged/lost/stolen items if you have returned your items with your own independent courier. If you are responsible for the return we recommend that you obtain/provide proof of purchase with any returns. Remember, we do offer our own returns service so please check out our delivery and returns page for further details. Target cannot accept exchanges on any products. How long does it take for my refund to appear in my account? We submit refund requests to your bank or card issuer immediately wither in whole or part, you should see the refund as a credit approximately 5 - 10 business days later, depending on the bank. Once issued a refund cannot be cancelled. If you do not receive a notification or this expected refund has not appeared within the time frame mentioned then please contact us and we can investigate further into this for you. How can I pay for my order? what payment method do you use? You can pay for items using the following payment options: Visa, Master Card and Maestro. When do you charge my account for my order? If you have paid for your order on a debit or credit card we will charge your card and take payment once your order has been submitted and you will receive a confirmation once your order has been placed - this will provide all of your order details. All items ordered remain our property until we receive full payment from you. Are my details safe when ordering on Target's website and how do you use my information? Take payment, and give refunds, we 've got to do this to perform our contract with you. Fraud prevention and detection, to prevent and detect fraud against either you or us - unfortunate, but absolutely essential. We will not hold your cards security/CVV code. I seem to be having an issue logging in to my account? Just a few simple checks to carry out if you are having a problem accessing your account. First - double check the email address you are using corresponds with the account you have created, and then check the password you are entering is correct and note - passwords are case sensitive. Even the most tech-savvy individual can forget to turn that caps lock off, let's face it we have all done it. If you are unable to remember your password then just click on `forgotten password' and this will then ask you to re-enter your email address. Providing the email address is logged to the correct account you should receive your password imminently to your email. If you still have an issue logging in or it locks you out after multiple attempts just contact our Customer Care team and we will look to resolve this for you. I am unable to make a purchase? This could be down to a technical difficulty, but it's likely it could be because the website is not active or available to order outside of the UK. How do I unsubscribe from receiving any emails/texts/information from Target? If you wish to unsubscribe you can do this by clicking the unsubscribe link in one of the emails that we have sent you. The option is always available if you ever wish to subscribe again in the future. How do I sign up to Target's Newsletter and Blogs? You can find our blog on our website by clicking here, or click here to subscribe to our newsletter to stay up to date with all things #TeamTarget. Click the Remove All Website Data button to remove all stored website data, or skip to step 5 to remove data on a site-by-site basis. On your Android phone or tablet, open the Chrome app Chrome (add image). At the top right, tap More (add image). On your iPhone or iPad, open the Chrome app Chrome (add image). Tap History then Clear browsing data. Make sure there's a check mark next to "Cookies, site data" and "Cached images and files." At the top right, click More (add image). Make sure to uncheck Preserve Favourites website data and check both Temporary Internet Files and Cookies then click Delete. Does my guarantee cover coatings? I am afraid that under Target company policy we are unable to guarantee coatings, the only guarantee we offer is the barrel guarantee which is directly related to barrel damage such as breaks. Coatings are all variable in strength and durability, but even the most resilient of coatings can wear through frequent play. I am afraid there is no time limit to be applied every individual is different. It can be down to a few contributory factors such as frequency of play, technique and good old-fashioned wear and tear. The coating has peeled off my point? We are sorry to hear the coating has come away. Please issue us an image to review your complaint as it will help us in assisting you. We will need to assess if this is down to general wear & tear or if it's an actual defect with coating. Once we have investigated this we will be able to decide how best to resolve your issue but we aim to do this as quickly as possible. I am afraid that under Target company policy we are unable to guarantee coatings, the only guarantee we offer is the barrel guarantee which is directly related to barrel damage such as breaks. Coatings are all variable in strength and durability, but even the most resilient of coatings can wear through frequent play. I am afraid there is no time limit to be applied every individual is different. It can be down to a few contributory factors such as frequency of play, technique and good old fashioned wear and tear. How do I activate my barrel guarantee? We have made it nice and easy to activate your guarantee. You can do this directly through the Target website on the Home page. Click this link and it will prompt you to enter your full name and email address and the 6 digit product SKU that identifies your product. Once submitted you will receive a confirmation of this and your barrel guarantee has now been activated! If your code is not listed, you can always enter your code manually. The product code gives your product its unique identification. This can generally be found on the label of the packaging, on the reverse side of your Target box and will be printed alongside the barcode and the product description. The code is always a 6 digit number. This code can be used to activate your barrel guarantee. How do I assemble my Corona Light? I have lost/misplaced one of my barrels is it possible to get a replacement 1 for my set? Unfortunately, all of our barrels are fully packaged darts sets, our guarantee does not cover warranty to lost or stolen barrels and it's very rare that just 1 barrel would be available as a replacement. The other suggestion would be to look online it's more likely to be available through an independent seller or if you can purchase a pre-owned set. On the upside, it will at least give you spare darts as a backup, win-win. What is the best way to clean my barrels? The safest and most productive suggestion when it comes to cleaning barrels would be with a soft bristle brush and warm soapy water, this will remove any natural oils, dirt remnants that may be on your dart barrels or built up within the actual barrels. We strongly advise that you do not apply or use of any harmful chemicals or strong solutions on your barrels, at the risk of an unknown reaction it may cause damage to any coating on the barrel or to the barrel itself. Cleaning your barrels every so often has been known to help enhance the grip or revive the grip on your darts. I have a great idea for a new product who can I speak to about this? Target as a company greatly appreciate the importance of product suggestions and we welcome your feedback, this helps us to carry on developing some fantastic products that we can bring to the darts industry that we know you will love. It's not always possible for us to bring all ideas to life but we will pass suggestions onto our product development team. When do you launch your new products and how can I find out about them? We have a number of launches throughout there year & we love to surprise you all with our new product releases so unfortunately, we are unable to disclose any information prior to releasing those products because it's top secret. We would advise you to keep an eye out on the Target darts website as all of our official announcements and news will be released first on our newsletter - so make sure you sign up. How do I re-point my darts? My Points snapped flush within barrel how can I remove this? Not a problem if your point has broken flush with the barrel and it's too tricky to remove we do offer a service to remove that pint with our specialised tooling. We can do this under the provision that the points are Target, and that the points have been snapped during play with no other alterations to the barrels. Please contact Target for a Goods Return Form, this will provided you with full instructions on how to return your barrels for repair, please ensure this correspondence is shipped back with the darts as there will be a full inspection carried out before a decision is made to repair. We would also suggest posting your return using a tracked delivery service it gives a little added insurance that they will arrive safely to us. 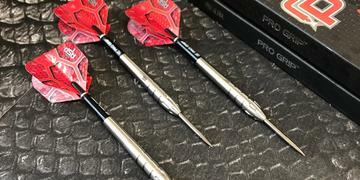 Please allow up to 28 days for the assessment, repair process and postage of your darts. The turnaround is generally quicker but we cannot guarantee this especially at peak times. Please contact our customer care team and we will provide you with a Goods Return Form that would need to be completed with the return. My shaft has broken within the barrel, how can I remove this? We have a great little accessory to help assist you with the removal of broken shafts, Target offer an extractor tool that enables you to remove this with ease this can be purchased through our website. My point snapped whilst I was repointing is this under guarantee? My barrel is broken what do I do? We are sorry to hear your barrel has broken but not to worry because we have lifetime barrel guarantee. If you could please contact customer care. We would request you send us images of the broken barrel and the product code so we can make a positive identification from the range. This allows us to assess the break and investigate if there is a fault/defect with the barrel. We will aim to resolve this for you as quickly as possible. Please ensure you activate your lifetime barrel guarantee. My accessory has broken/ snapped in such a short space of time what can I do, am I covered? 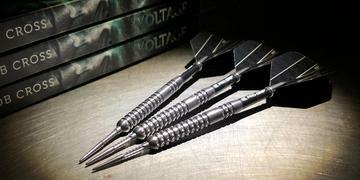 Dart accessories are classed as consumable items and would not be covered or guaranteed. Consumable products can snap, split, bend just through generic play and is unfortunately entirely possible within the game of darts even for the most professional darter. If your issue is not a straightforward or directly related to wear & tear we may require further information and images in order to investigate resolve your enquiry. If this is the case, please contact our customer care team. Good news though consumable items are available from Target and can be purchased for you to use as replacement or spares sets. Most Repointing tools do wear through multiple repointing, it really does depend on how often the tool is being used and the volume of repointing being done. Like anything over time these parts will wear and they may require replacing, most of these spare parts are now available for these machines and once replaced your machine will be as good as new. These consumable parts can be requested through Target. We also offer a tutorial and demonstration video as per above, hopefully, this can help with repointing and offer advice on other repointing issues you may have experienced. My power pack on the Corona/Vision 360 is faulty how do I get a replacement? We do have components available for the Target lights but we would need to determine the reason for the fault before we look at replacing. The light components are only guaranteed for 12-months, therefore we may require proof of purchase to support this. This is simply to establish if the product is still within the 12-month warranty and if it is in the 12-month warranty then we will issue you a replacement adaptor `Free of Charge'. Not to worry though because if the product does fall outside of the 12-month warranty this small part can still be purchased from Target directly for a small cost and this should easily resolve your issue with minimum hassle. My Adaptor is broken on the Corona / Vision 360 how do I get a replacement? We do have components available for the Target Lights. We also would need to determine the possible fault of the adaptor. These lights components are only guaranteed for 12 months, therefore we may require proof of purchase to support this. This would be to establish if the product is still within the 12-month warranty. If this is in the 12-month warranty then we will issue you a replacement lights strip `Free of Charge'. Not to worry though because if the product does fall outside of the 12-month warranty this part can still be purchased from Target directly for a small cost and this should easily resolve your issue with minimum hassle. My Corona/Vision 360 LEDs are discoloured OR sections of the LED strip is not working does this have a warranty? We do have the LED light strip components available and if your light strip is faulty then we may ask you to issue us an image of the faulty light strip to help us understand or to determine the fault. All Targets Electrical products are guaranteed for 12 months, therefore we may require proof of purchase to support this. This would be to establish if the product is still within the 12-month warranty. If this is in the 12-month warranty then we will issue you a replacement lights strip `Free of Charge'. 2. Remove any loose residual adhesive left in the ring. Leave in place the black tape on the inside of the ring covering the joints. Align the cable of the new LED strip with the cut-out in the plastic ring and secure in place. 3. Peel off approximately 10cm of the protective film from the LED strip at the cable end, exposing the adhesive foam. 4. Gently lay the LED strip into the plastic ring applying gentle pressure. Work your way around the ring, peeling off the protective film as you go. 5. The free end of the LED strip should coincide approximately with the cable end when fully laid in. Remove cable from cut-out, lift start of the LED strip and lay the free end of the strip into the ring. Then lay the cable end of the strip on top of the free end of the strip and relocate cable back into plug. You should now be good to go. How do I set up my Nexus?  We have dedicated a one page website to the Nexus that is full of juicy information - from the journey & innovation behind the product, set up, as well as useful video footage. The answers to your Nexus Network guide are a simple click away. What is the maximum weight limit for soft tips on the Nexus? It is safe to use a barrel weight up to 22 - 23g, this would be one of the heaviest weights within the soft tips market and you should not experience any issues using this weight. How is the Nexus mounted to the wall? We have provided a full instruction leaflet included inside the Nexus box that will give you a guide on how to mount this piece of equipment. Can you output the build in a screen to a bigger screen? Unfortunately this function is not available to the Nexus. What are the measurements of Nexus? The screen is 7 inches from corner to corner, 6.5 inches wide and 4 inches in height. Are there additional ID cards available so we can have multiple players that can track their stats? The Nexus is currently only supplied with 1 ID card and can only be bound to the one account, this individual card is included with your Nexus purchase. We will be looking at future developments into releasing additional ID cards that will be wildly distributed at a small cost but will allow for multiple users. This will enable every user to keep track of their own rankings and statistics. However a limitless number of accounts can be used on the same board, it doesn't matter what board you play on as long as your account is logged in and your account ID card is bound to your account. Do you have future plans for Nexus? Nexus's present software release is version 1. This will certainly be a developing product, we have so much that we can do with this piece of software. We have installed an update button that will allow us to update the app in the future, we will work on a number of updates and have a 2-year roadmap to release new content. As the Nexus community builds, we hope to open up software to individuals and encourage them to organise their own leagues, tournaments, dart events. We see so much potential in this product and expansion for this. be due solely to wear & tear, accident or misuse. In the unlikely event, a fault does develop within the above time period stated we understand that the returned item may not arrive back in the original packaging but we will still need to establish proof of purchase. "If it's the case of Nexus boards being identified as faulty/damaged prior to being sold to you, you should contact us immediately through the same returns channels. Goods should be returned in original product packaging and in the same condition as when received by you from our warehouse. This must include all relevant Nexus components that were originally supplied". If the item meets any of the above requirements and displays fault within the 6-month warranty, please contact us directly as we may have the available replacements parts to allow you to carry out a suitable repair rather than inconvenience you with a full return. If however, those replacement parts fall outside of the 6-month warranty they will be available on the Target website for you to purchase at a small cost. Where can I buy the Nexus? Will the Nexus have a monthly fee? There are no monthly fees currently attached to the Nexus. You simply have to purchase the product and then you can access all of the Nexus' functionality, online and offline. How will updates on the Nexus work? You won't be able to access the online functionalities of the Nexus without the latest version. If you try to play online you will receive a message telling you that you need to update. Simply go into the settings to update the Nexus to the latest version. Updates could include bug fixes, new game modes, new graphics etc. Information about each update will be available online. Is the display protected if I was to throw a dart at the Nexus screen? My tip has broken in the Nexus - what do I do? Simply push the soft tip through the Nexus using a soft tip extractor tool. Ultimately if you do not have a tool available this can also be done by hand and the soft tips will drop into a small compartment at the back designed to store them. How do I remove them from that compartment? How do I reset my password on the Nexus? You can't reset your password on the Nexus itself, but you can reset your password on the Nexus companion app and then the password will be adjusted on the Nexus itself. If you're having trouble connecting to the internet, try restarting your router. This should make your connection appear. Are the triple and double segments the same size as a steel dart board? The board is slightly bigger all-round than a steel tip dart board, and so the triple and double segments are slightly bigger as well. I purchased my Nexus second hand - I can’t log in? If you purchase the Nexus from somebody else, chances are they've already used their ID card so you will not be able to sync your account to the Nexus. You can either continue using their existing card or contact [email protected] as we do hold additional ID cards for situations such as this.